Switching and routing is the backbone of your network. They connect your devices together to form a network and connect your networks to each other. A switch's function is to allow multiple devises to communicate via the network such as computers, printers and even building to building. Because of efficiencies gained in resource allocation and information sharing switches can save your business money and boost employee productivity. 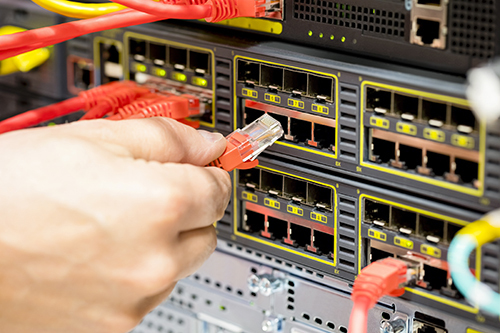 What is the difference between a Network Switch and a Router? Innovative technology to rapidly interpret session traffic and deliver faster processing cycles, ultimately performing higher-speed routing decisions. Laser-focused, application-specific solutions.